Welcome to the next wave of wealth management. Research shows Millennials are one of the top growth prospects for wealth managers. Are you ready to engage a whole new kind of client? In two years, improving advisor productivity is going to be the #2 most important strategy for growing financial firms. So, what will the #1 strategy be? 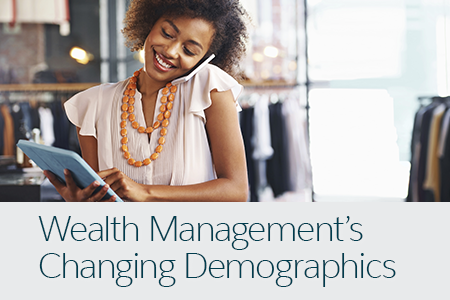 Find out in this exclusive report, and learn what advisors need to do to meet the unique needs of head-of-household women and Millennial investors.